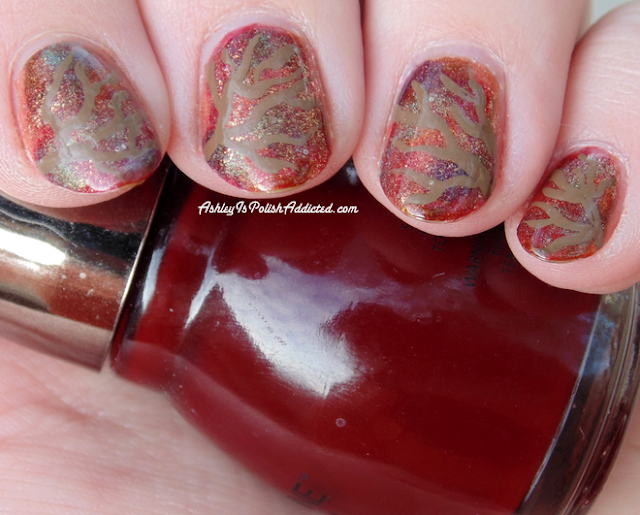 It's a brand new Digit-al Dozen Week and this week our theme is Autumn! I love autumn, it is my favorite season. That being said, I don't really have autumn here. It was 102 degrees today in AZ, and will continue to hit triple digits all week. I decorate for autumn and enjoy the cool (for here) mornings, but I know it's not the same as living somewhere with 4 seasons and gorgeous changing leaves. I hope I get to live somewhere with 4 seasons some day, but until then I will pretend. 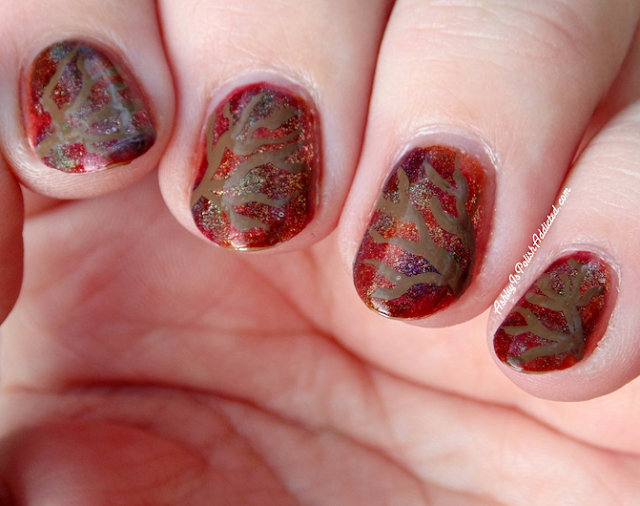 My mani today was created from the perspective of standing under trees and looking up where the leaves are changing above. I wasn't sure I loved it when I finished it, but it has grown on me today as I've worn it! I created the base of this mani by sponging on several different colors - too many to name LOL - in order to get the effect I was going for. I then added the branches using brown acrylic paint. Make sure to check out all of the other amazing manis below, including the introductory mani from a brand new Digit-al Dozen member, Mina from Cubbiful! Really liked these and when I read the bit about 'under the tree', I could totally see it! Very very pretty! I totally see your inspiration here and I LOVE it! That base is gorgeous! Love the inspiration! Looove that sparkly base! So pretty! The Digit-al Dozen Does Autumn: Autumn Treats!